About 18 months ago something strange happened to my usually normal and well behaved skin. It got very, very dry and started flaking alarmingly. I was doing a play at the time and therefore had on a full face of make up every night. Every time I removed the makeup, my skin would come off with it. It was a mystery. I hadn’t been using any new products, I hadn’t changed my routine or done any new treatments, so had no idea what was going on. I stopped using everything but the most simple products on my skin, I slathered oil onto it every night but to no avail. As I haven’t had any problems with my skin since my spotty youth, this was all rather upsetting. It went on for about 6 months. I then heard about something called Jet Peel. It’s a bit like one of those power hoses you use on your patio, but for your face. As my skin was feeling rough and caked with dry skin, I thought let’s blast it off. I figured I needed a good exfoliation (cream ones had failed to do it thus far). 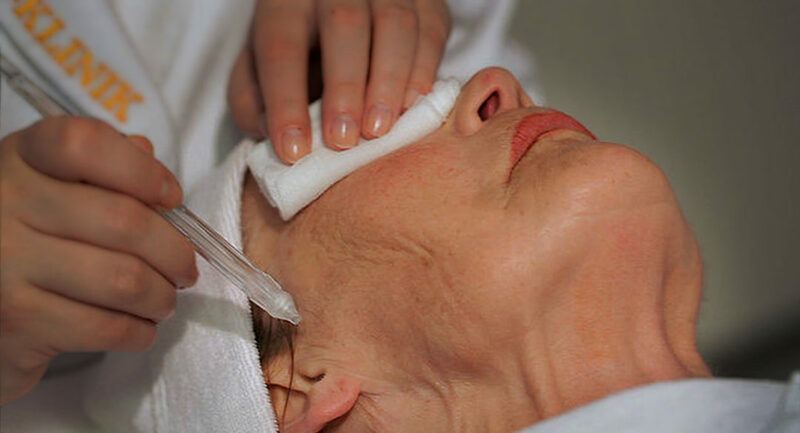 So what is Jet Peel? Pressurized air accelerates a jet of micro droplets and this micro-jet is used to gently (the air just makes you feel like you’re being blasted) and painlessly cleanse and exfoliate your skin. The jet delivers moisture, oxygen, vitamins and nutrients into your skin ( without ever touching it and without needles!) To my joy, my skin felt smooth for the first time in months, but was too sensitive to have the vitamin part of the treatment at first. I then started doing it regularly and over a period of 2 – 3 months my skin was completely back to normal. It’s now a regular part of my routine. After each treatment my skin feels as smooth as a pebble, hydrated and vitamin packed. They say that it’s effective in skin texture improvement, wrinkle reduction, unclogs pores and removes any debris and dead skin cells that have naturally built up in the skin over the years. Although I have used this treatment myself I cannot be held responsible for any adverse reactions from JetPeel. If you are in any doubt please consult your doctor.